Dr. Arlisha P. Mason is an instructor for the Louisiana State University Health New Orleans School of Nursing. She has been in nursing education for 14 years with experience in medical-surgical nursing and critical care. She earned a Bachelor of Science in Nursing from Joseph and Nancy Fail School of Nursing at William Carey University. She received her Master of Science in Nursing from Loyola University, with the completion of the Healthcare System Management Program, and received a Doctor of Philosophy degree in Nursing Education and Administration from Joseph and Nancy Fail School of Nursing at William Carey University. Dr. Mason’s research interests include medication adherence and self-efficacy in the Adult population, student perceptions, global health and the effectiveness of technology in nursing. Dr. Mason was (co-investigator) of a research study and published the results in 2010: Student perceptions and the effectiveness of podcasting in an Associate Degree Nursing Program. Her research interest in medication adherence and self-efficacy in the Adult population influenced her research study (Dissertation): The Effects of Telephonic Coaching on Self-Reported Medication Adherence and Self-Efficacy in Adult patients with COPD in an Outpatient Setting. Dr. Mason is currently a member of Sigma Theta Tau International Honor Society of Nursing, Xi Psi Chapter, American Nurses Association, National League for Nursing, and Alpha Kappa Alpha Sorority. She has received many honors and awards including Delgado Charity School of Nursing Teacher of the Year, (2010); Ochsner Medical Center Daisy Award, (2008); Great 100 Nurses in New Orleans, Louisiana in 2005; St. Charles General Hospital Unit Manager of the Year, (2003). Dr. Mason an instructor in the undergraduate program, teaching in Population Nursing and Perspectives in Nursing. 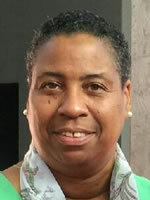 She actively participates in the shared governance of the LSUHNO SON as a member of the Curriculum Committee; Academic Undergraduate Council; Admissions, Progression, and Graduation; Quality Enhancement: Diversity and Inclusivity Advisory committee (Co-Chair), Committee member of SREB-Council on Collegiate Education for Nursing, and the Faculty Organization. She is a mentee in the C-PRIDE Mentorship Program. Dr. Mason’s clinical experience and expertise includes Mid-Level management, Medical-surgical nursing, Emergency nursing, Critical Care, Transplant, Oncology and Case management. Preceptor to Master and Doctoral level students. Has voluntarily participated in (3) National Disasters and (2) Medical Mission trips with "Healing Peru" as Team Leader for the SON undergraduates. Kemp, P., Myers, C., Campbell, M., Pratt, A., (2010). Student perceptions and the effectiveness of podcasting in an Associate Degree Nursing Program. Teaching and Learning in Nursing, 5(3),111-114.